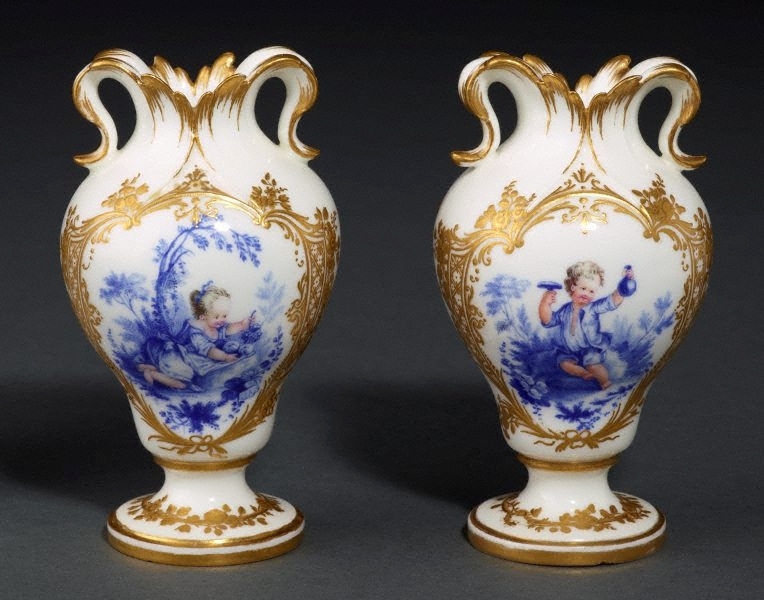 The vase form known as ‘à oreilles’ (with ears) was introduced in 1754 and was almost certainly designed by Jean-Claude Duplessis. The painted scenes are in the manner of François Boucher and probably adapted from drawings supplied by him. The present examples are possibly the pair of vases à oreilles decorated with monochrome children with flesh colours recorded in the factory’s sales records as purchased by the prominent dealer Lazare Duvaux in the first half of 1755 for 76 livres each.